Saucony and Fleet Feet Sports are on a mission to deliver a metaphorical marathon of sweat-infused fun to your city. 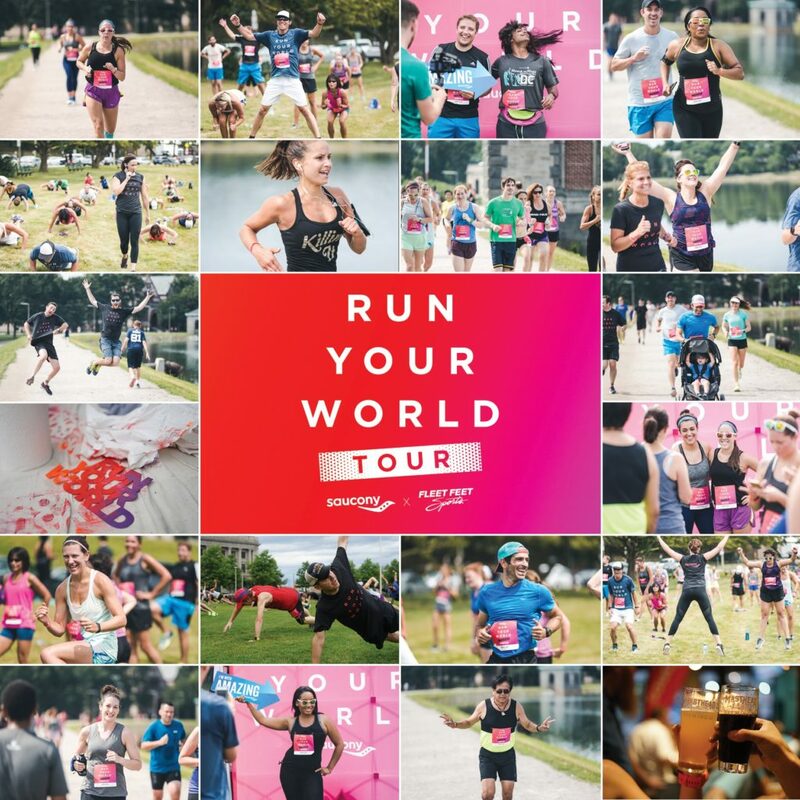 Join us for the Run Your World Tour, where you’ll run, sweat and let loose, all in support of a great cause. Sound good? Go ahead and register now, and when you’re done, check out the latest Saucony footwear at Fleet Feet Sports. Please note – this event is 18+.